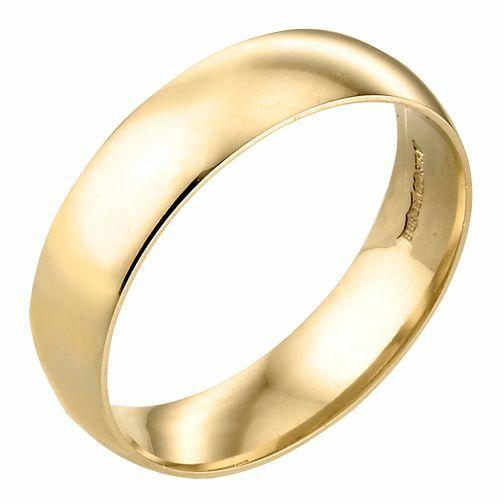 This 9ct yellow gold 6mm wedding ring has a simple yet elegant design. Ideal for bride or groom. 9ct Yellow Gold 6mm Extra Heavy Court Ring is rated 5.0 out of 5 by 1. Rated 5 out of 5 by Anonymous from Classic gold wedding ring I searched around for rings for our wedding but always seem to head back to Samuels for the quality an sight price. We bought the same in ladies version at 4mm as well and we are both very happy with them.